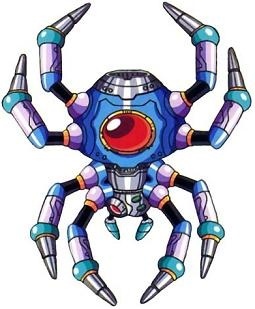 Italian Scientists Invent Robotic "Spider Pill"
A new and less-invasive way to scan your insides could make you more likely to get that yearly checkup, but is unfortunately probably invented by Dr. Wily. Italian scientists have invented and tested a "spider pill" that can be swallowed and controlled remotely while within the human body. Similar robotic "pills" already exist, but this may be one of the first that can actually be controlled at a doctor's will after being swallowed. It has already been tested on a pig, as seen in this BBC video. Once inside a patient, the spider pill has legs which extend and allow it to move around, giving a doctor flexibility during an exam. The pill could conceivably detect diseases in the colon or intestines in a much less invasive way than the currently used endoscope, which resembles more of a snake and keeps patients far away from doctor's office. But lets get right down to it, this is just another step by the world's shadowy puppet masters to make Mega Man into a reality. First, robotic bees, and now robotic spiders that actually enter the human body? The scientists say that the spider pill exits the body naturally, but I know I'm not going to pick through my passings to see if it actually has or not. We need to find a scientist with a huge white beard right now and secret him away. He will build the technology meant to repel these animal-themed-soon-to-end-us-all robots, and he can start with a robotic dog. That's the only way I'll sleep at night.